A new wrinkle in rear-ending avoidance: The 2017 Chevrolet Bolt will feature a “one-pedal” regenerative braking system that can stop the electric car without using the brake pedal in some cases. Though GM cautions drivers that the brake pedal remains necessary in certain situations and stressed this with bold text Tuesday, it seems as though the battery-charging option first announced in January might cause collisions if users don’t understand it. On the other hand, the regenerative braking also could lead to other collision being prevented if that Bolt either lacked autobraking or the latter tech failed to halt the car. The technology, which GM wrote was demanded by “EV enthusiasts,” aims to capture the energy lost while braking and return it to the vehicle battery of the car, according to GM. 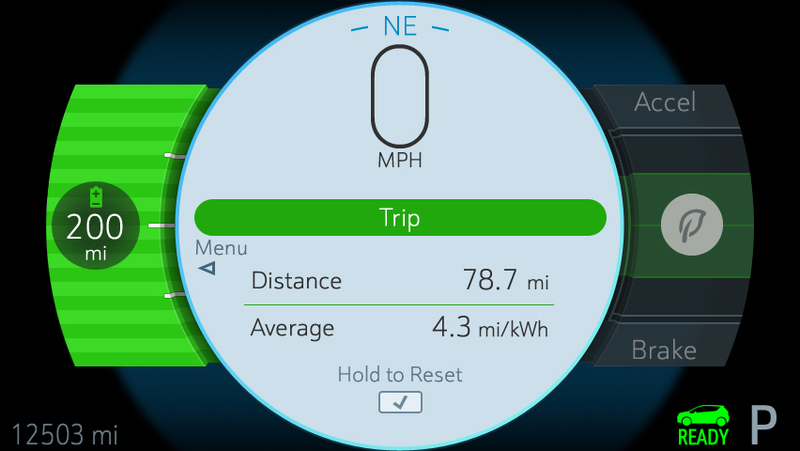 The OEM estimates that the one-pedal feature could under certain conditions (stop-and-go-traffic, likely) add as much as 5 percent to the Bolt’s 200-mile range. “One-pedal modes do not eliminate the need to use the brake pedal altogether, especially in emergency situations,” GM cautioned Tuesday — in bold text. The system is intended for situations like stop-and-go traffic, Fred Ligouri of Chevrolet communications said Tuesday; it wouldn’t slow the car in situations like taking one’s foot off the gas on the highway. Toyota has estimated that 80 percent of rear-ending happens between 7-50 mph. 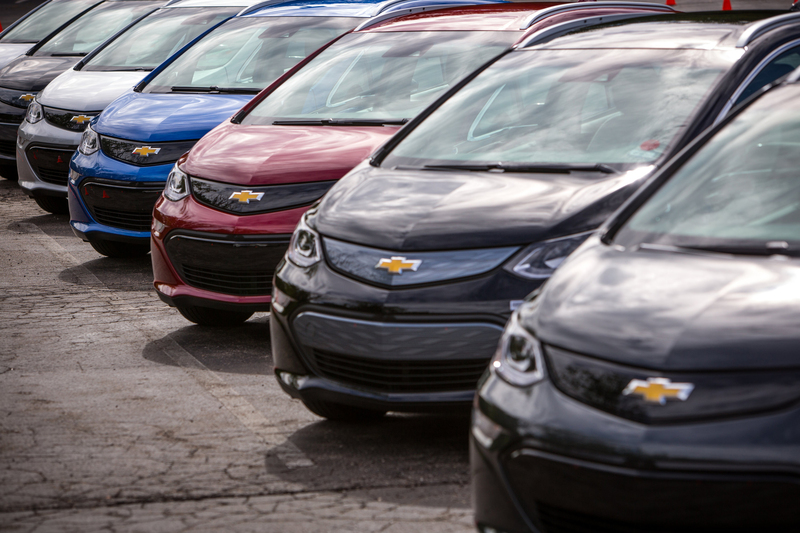 Unlike the Chevrolet Volt, which captures energy through “blended braking” when the brake pedal itself is deployed, the Bolt’s one-pedal system only regenerates with the accelerator system. Hit the brakes, and “that’s all friction braking,” Ligouri said. Given this counterintuitive means of stopping, it seems as though the feature might yield collisions from drivers overestimating the stopping power of the accelerator’s regenerative braking. “Certainly, there’s a learning element,” Ligouri said; he wasn’t sure of the exact distance or speed in which the one-pedal technology could bring the car to a full stop, but he said the potential for confusion was probably “something that the engineers have taken into account” in designing the deceleration feature. “It’s really a convenience feature when you’re in heavy stop-and-go,” he said. At least some Bolts will have a hedge in the form of either forward collision warnings or FCW combined with autobraking to either alert the driver they’re about to hit another vehicle. Either format has been shown to reduce collisions, though AEB does so more dramatically. General Motors is among the OEMs who’ve vowed to make automatic braking standard by 2022. It promised in March certain Bolts will offer that technology and forward collision alerts, though it didn’t specify which would be standard or optional or which combinations of FCW and AEB could be present on the mass-market Tesla Model 3 competitor. 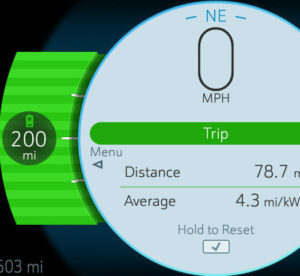 The 2016 Volt offers one options package that includes both autobraking and collision alerts; another baseline feature set omits both.